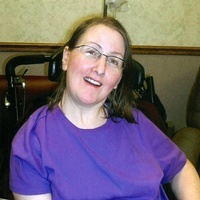 Jeanine “Jeanie” Molstad, Thief River Falls, MN, 56, passed away on Monday November, 26, 2018 at Thief River Care Center, Thief River Falls, MN surrounded by her loving family. 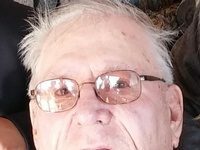 Funeral service will be held on Saturday, December 1, 2018 at 1:00 PM at Abundant Life Church in Thief River Falls with Reverend LeRoy Flickinger Officiating. Burial will be held at Greenwood Cemetery Thief River Falls, MN. Visitation will be held on Friday, November 20, 2018 from 5 – 8 PM at Abundant Life Church in Thief River Falls with a 7:00 PM prayer service and also one hour prior to the service on Saturday. Jeanine Marie Olson was born July 8, 1962, Thief River Falls, MN, the daughter of Leonard and Marlene (Lappegaard) Olson. She was baptized and confirmed in the Lutheran Faith. She was raised in Thief River Falls, attended school and graduated from Lincoln High School in 1980. Jeanine worked at a small grocery store for a short time. On January 10, 1981 she was united in marriage to Clayton Molstad at Trinity Lutheran Church in Thief River Falls. The couple made their home in Thief River Falls where they raised their four children Jessica, Kyle, Derek and Daniel. Jeanine worked at Northland Foods, a short time at Red Owl and for many years worked as manager at Hugo’s bakery. 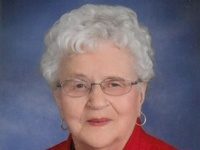 She was there when they expanded the bakery into Thief River Falls and was instrumental in starting that. In 1998 Jeanine was diagnosed with MS and was forced to retire due to ill health. Jeanine enjoyed baking, flower gardening, camping and being a hockey Mom. 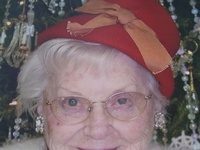 She took pleasure in decorating her home, but most all she loved the time spent with her family, friends especially the grandkids. Survived by her husband Clayton of Thief River Falls, MN, children Jessica (Rick) Boutain of Thief River Falls, MN, Kyle Molstad of Thief River Falls, MN, Derek (Kristal) Molstad of Thief River Falls, MN, Daniel (Special friend Kyrie’) Molstad of Thief River Falls, MN; grandchildren Adalyn, Jasmine, Dominic and Kira: mother Marlene Olson of Thief River Falls, MN: siblings Hollie (Brad) Stewart of Erskine, MN, Lorrie (Randy) Nelson of Newfolden, MN, Randy (Sue) Olson of Goodridge, MN, Darcy (Jerry) Larson of Waverly, MN; aunts Elody Olson and Deloris Hoglo and several nieces, nephews and cousins. Preceded in death by her father Leonard M. Olson, mother and father-in-law Clayton and Madonna Molstad.